Nicolaus Jacobus Hubertus van Groenendael, who is also referred to as Jacques van Groenendael, was born on August 17th of 1864 in Nunhem (Limburg). He was the second son of carpenter and builder J. van Groenendael whose firm was first based in Nunhem, later Den Haag and ultimately Hilversum. Like his older brother J.H. (Jean) van Groenendael, Jacques was taught the skills of construction in his father's firm. Little is known about his early life. In the first two decades of his career he appears to have had his office in varying places where he had his assignments. 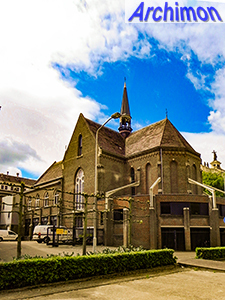 In 1883 he was based in Boxmeer, where he was in charge of the construction of a postoffice. 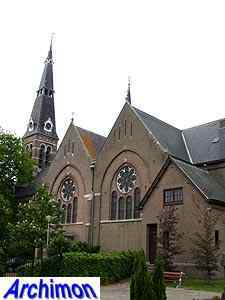 In 1891 he was back in Hilversum, but around 1896 he was based in Ammerzoden and in 1906 in Hoeven. 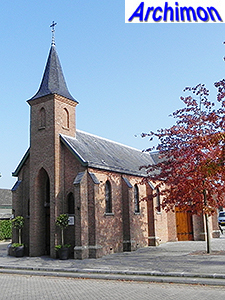 In 1907 he moved to Breda, where in 1905 he had founded De Mark, a factory in school and church furniture. 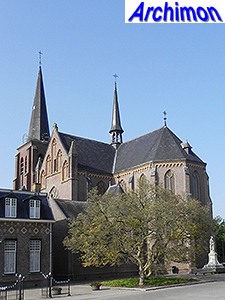 In Breda he became ia long serving member of the city counsil for the Roman Catholic party. He also founded a farm and a bank. When the latter went bankrupt in 1923 he came into financial problems, resulting in bad health condition. 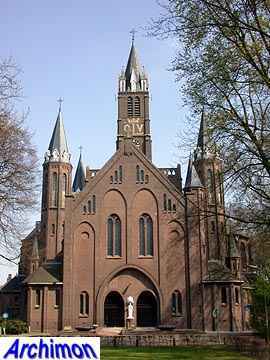 As an architect he was mostly active in the Breda diocese, which comprised the western part of Noord-Brabant and the whole of Zeeland. 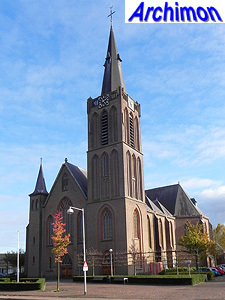 As a builder, he had several assignments outside this area; for instance, in 1908 his company built the St. Dominicus in Alkmaar (NH) and in 1910 the church in Katwijk (ZH) which his older brother had designed. Like both of his brothers, he originally designed his own religious buildings in neo-Gothic style. In his later work, Jacques abandoned pure neo-Gothic and used elements of Expressionism. He designed ca. 25 churches and chapels, while his construction firm built ca. 60 churches. Van Groenendael died in Breda on the 4th of August 1932. His office was continued by J. Hurks, with some involvement of Van Groenendael's widow Martina Gorter. His sons Mathieu (1911-1996, initials unknown) and J.H.A.M. (Jacques Jr., 1915-1984)) also became architects but their involvement with their father's work is unknown. Jacques jr. would become the successor, and son-in-law, of Jos. Wielders in Sittard. Due to many stylistic similarities between the early works of J.H., N.J.H. and J.H.H. van Groenendael, and because of the fact that all three brothers as well as their father and Jacques' own son are often referred to as J. van Groenendael in literature, there's much confusion about the exact attribution of their works, especially those in neo-Gothic style. As a result, the following list of N.J.H. van Groenendael's religious work is probably incomplete and may contain some errors. Three-aisled cruciform pseudo-basilica in neo-Romanesque style, with short tower at the side. Side-aisles widened and tower removed by F.H. Stoks in 1935. Big cruciform basilica in neo-Gothic style. Destroyed in 1944. Cruciform basilica in neo-Gothic style, with tall tower. In conjunction with J.H.H. van Groenendael. Extension of W.J. 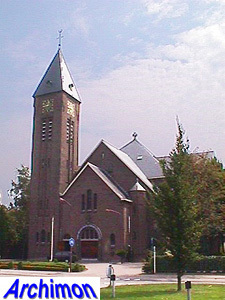 van Vogelpoel's early neo-Gothic church. Nave lengthened and new, straight choir in matching style. Cruciform basilica in neo-Gothic style. War damage in 1944 repaired in 1958, with changes to the tower. Small cruciform and towerless three-aisled pseudo-basilica in neo-Romanesque style. Destroyed in 1944. Cruciform church in neo-Gothic style, with short uncompleted tower. Demolished in 1973. Three-aisled cruciform hall-church in neo-Gothic style. Wide three-aisled and towerless pseudo-basilica in simple Expressionist style. Demolished in 1989. Wide aisleless church. Front with portal and tower. Built as a temporary church but never replaced. Small cruciform chapel with tower. Neo-Romanesque chapel added to a monastery. 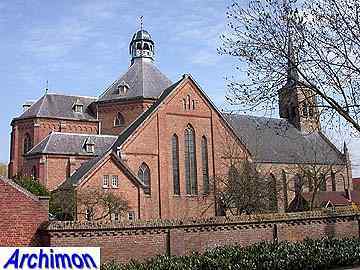 Replacement of the choir of P. Soffers church from 1850-1851. Transept and choir with dome on the crossing. Combination of neo-Gothic and Expressionist styles. N.b. : although commonly attributed to J.H.H. van Groenendael, the webmaster has not found any supporting evidence. 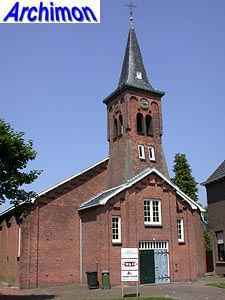 Given the location of this church (in the Breda diocese) and some small stylistic elements, N.J.H. van Groenendael appears to be the true architect. Centralizing church with tall tower and smaller turrets on the corners. 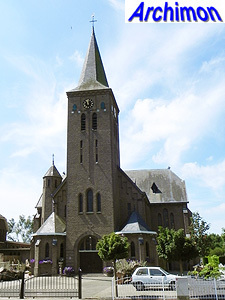 Local priest Father Bastiaansen made a first design, based on the Notre Dame du Rosaire in Lourdes which was further elaborated by Groenendael. Three-aisled cruciform church in neo-Gothic style. Largely destroyed in 1944 when the tower was blown up. Rebuilt after the war by W.J. 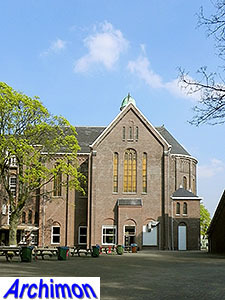 van Bunnik, incorporating the old choir. 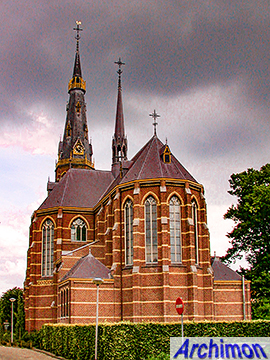 Church in modern neo-Gothic style. Destroyed in 1944. Cruciform, centralizing church in Expressionist style. In 1931 Van Groenendael was sued for plagiarism by H.J. van der Heyden (or Heijden), architect of a church in Wageningen. Cruciform, centralizing church in Expressionist style. Now a house. Cruciform, centralizing church in Expressionist style. Enlargement of neo-Gothic church (P. Soffers, 1870). Details unknown. Church destroyed in 1944. Church largely destroyed in 1944, but the transept and choir of the current church are from this period. Extension of the transept of an older church. 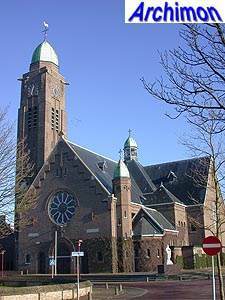 Van Groenendael's last church, built after his death. Centralizing church in Expressionist style. Tower not built. Demolished in 1995. Chapel for a boarding school for girls. Three-aisled cruciform basilica in neo-Gothic style.